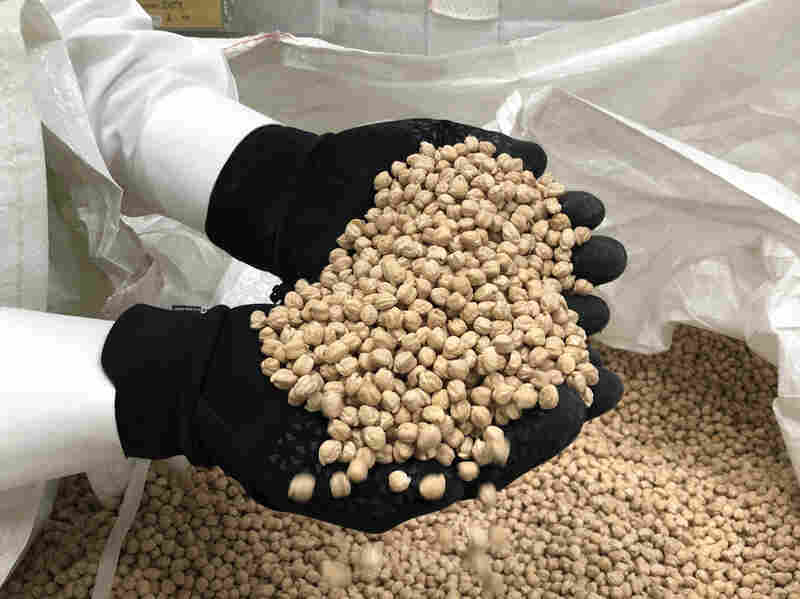 Chickpeas Sit In Silos As Trump's Trade Wars Wage On The largest importers of crops like lentils, garbanzos or peas — China and India — aren't buying because of trade wars and tariffs. But farmers already planted in anticipation of sales. 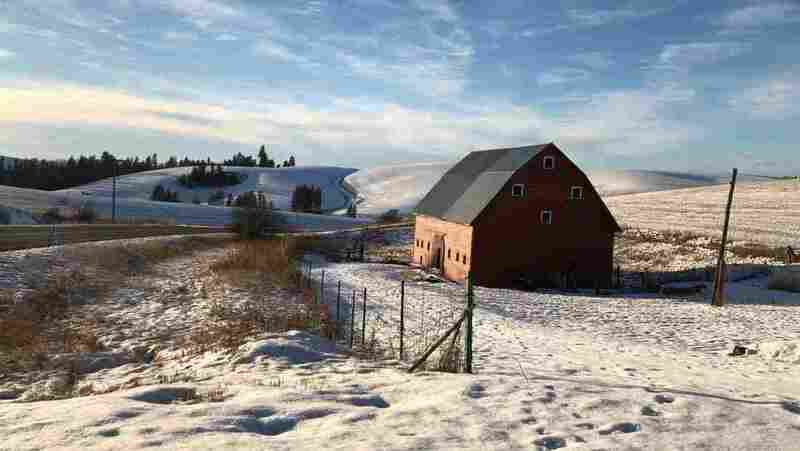 Snow-covered farm fields roll out outside Kendrick, Idaho. 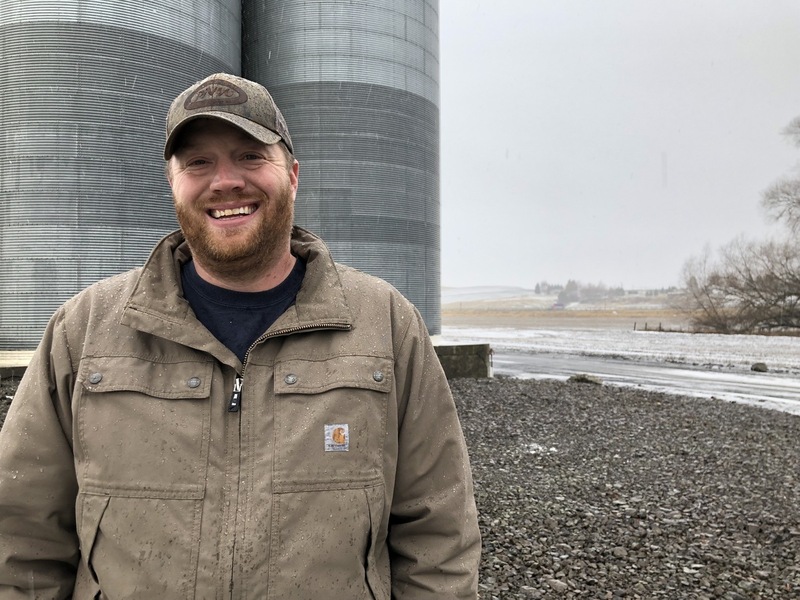 Farmers are stumped on what to plant this coming spring, as many of their traditional dryland crops are priced below the cost of production right now. Allen Druffel, 34, of Colton, Wash., stands in front of the co-op silos that hold his unsold chickpeas. Last year he was getting 50 cents a pound for his pulse crop. Now, the going price is 18 cents a pound — well below his cost of production. The real trouble started in early 2017, with the U.S. pulling out of the Trans-Pacific Partnership. Late in 2017, India imposed a global tariff on pulse crops and other farm products to protect its own growers. Then came President Trump's steel and aluminum tariffs. China and India are the two largest buyers of American garbanzos, peas and lentils, and those exports have all but stopped. Other countries are holding off on buying them, too, while the prices are unstable. Dry garbanzo beans spill between Phil Hinrichs' fingers. Hinrichs Trading Co. readies chickpeas for hundreds of products on domestic store shelves and exports the commodity in bulk across the globe.